Featuring Via’s designs, photography and poetry on various items. Ready for the Beach: A lively collection of bags, tees, dresses and household items, perfect for your beach house, boat or holiday. Statement Leggings: Leggings with distinctive designs and colors, featuring statement leggings with words and quotes. 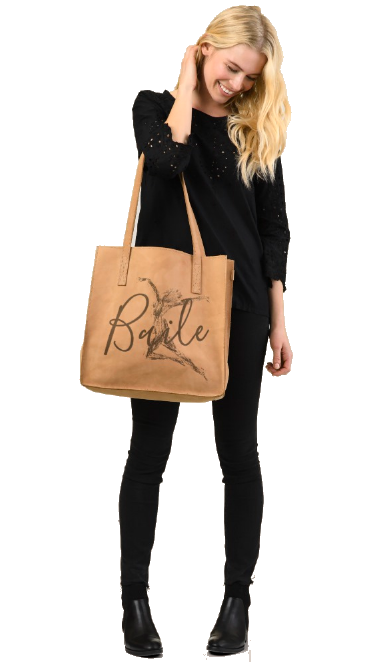 Clothing, bags and accessories for dancers, including tees, tanks, sweatshirts and leggings. Exclusively sold here. Designed by a dancer (that’s me!). A striking but simple black and white design on clothing, accessories and travel items for women and men. Exclusively sold here. Sets of coordinated office items in pink, blue or black to organize your home office, workplace or life. The black and white design on items coordinated for the home and office. A distinctive selection of items from statement tees and bags to purses and planners. The name Olivia written in a cute font with a pink heart. Personalized clothing and accessories for fabulous Olivias of all ages or customize with a different name. Designs featuring Via’s poetry and inspired designs. Spread some peace and love. “Blue sky and sea melts my blues away.” Beautiful script with statements for those who love a blue sky and the beautiful blue sea. Designs on clothing, bags and accessories plus items for the home, with cozy sweatshirts for winter and fresh designs for summer. Colors Collection: Clothing, bags and accessories in fun, bright colors. The Little White Dress: The lwd, A perfect alternative to the lbd + accessories & evening cover ups. Items selected specially for women, with some great gift items or to treat yourself. Statement tees, leggings, bags and other items men and women that speak out. Clothing and accessories for men. Items to grab and go! Inspired by traveling, dancing, staying active and athletic and going out. Clothing, bags and accessories in darks or brights for those in motion. Featuring fun sweatshirts, tanks and hoodie dresses. For tangueros and tangueras: clothing, accessories & items for the house or the milonga. Fine photography on wall art and select items featuring beautiful Vienna. Featuring Athena and the shrieking head of the Gorgon Medusa. Colorful clothing, bags and accessories to stand out on a color scheme of pinks, black, grey and white, with a touch of blue. Featuring two-tone blue “we are stars” jersey, perfect for dreamy autumn nights. Featuring 12 beautiful color photographs from Porto Cristo, Port de Manacor. then choose your preferred ‘culture’ and ‘holidays’! Her Dorm Room: When she’s going off to college, have her be prepared with items for her dorm room or sorority, with school supplies, home furnishings, towels, mugs, bags, clothing and accessories. >> Everything Blue:: Everything blue, from clothing to accessories and home furnishings. Whether you’re stocking your beach house, headed to the beach or to set sail, or simply love the color blue, you’ll find something here. >> The Love Collection: All about love. >> The Baby Girl collection: Maternity wear plus items designed especially for your baby girl in mind. Clothing, bibs, pacifiers and other items perfect for the newborn baby or the baby shower. All products feature Via’s designs, photos or poetry. Cover design & layout of books, plus cover design of calendars, by Via.